Relief Valve, Preset 070 PSI - August Industries Inc. 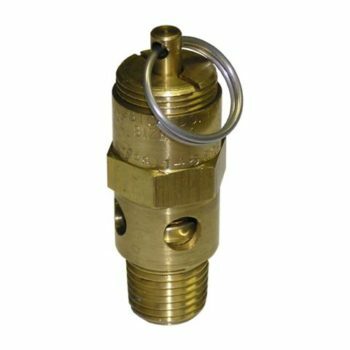 Relief valve for protecting low pressure items such as regulated air lines and tools from being accidentally over pressured. This valve has a 1/4 NPT male connection and is preset for relieving at 70 PSI.